If you have not yet heard, New Jersey did away with permanent alimony in 2014. This means that marriages of significant length can no longer be awarded alimony for an indeterminate amount of time. The statute was changed to limit alimony terms to the length of the marriage for all marriages under 20 years, barring extreme circumstances. 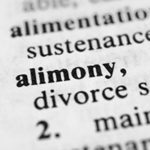 The New Jersey Legislature removed the term “permanent alimony” and instead used “open durational” alimony. Open durational alimony is for those marriages greater than 20 years, absent various exceptional circumstances existing. Those divorcees paying permanent alimony may now apply to have alimony end upon reaching the federal retirement age of 67. There are five types of alimony currently recognized in New Jersey: pendente lite, open durational, limited duration, rehabilitative, and reimbursement. Alimony received, unlike child support, is taxed as income under the IRS tax code. Each type of alimony is intended to replace different purposes from the break-up of the marriage. What type of alimony, if any, you are entitled to receive is a fact sensitive matter and should be discussed with an experienced family attorney.